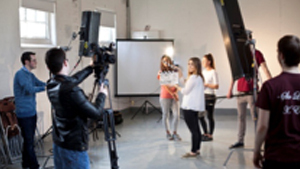 This full time programme aims to develop the essential practical skills and knowledge required to work in the dynamic area of film and television production. 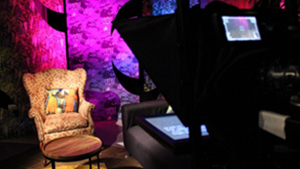 Students will have access to our TV studio as well as our top of the range equipment, while learning the ropes and creating their own films and documentaries. In final year, you will complete a major project allowing you scope to integrate your skills and personal perspectives to a professional standard. The programme is run in a partnership with Pulse College. 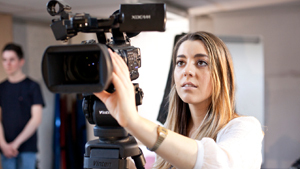 This programme will be of interest to holders of primary degrees who intend to embark on a career within the fields of TV and Radio Journalism as well as people with prior learning in Journalism and Media related disciplines, or ancillary communications/research based employment who desire to specialise. 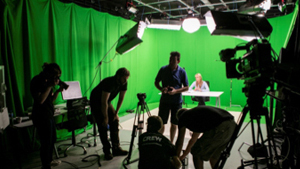 Lecturers in Griffith’s Journalism and Media Faculty come from successful Media companies including RTE, Newstalk, the Irish Examiner as well as a range of experienced Media professionals working as freelance or in the emerging online Media sector. 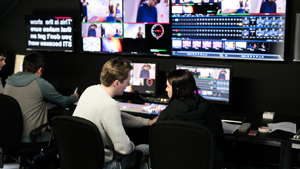 We have fully functioning broadcasting facilities on campus, with top of the range equipment available for the students to use. Tanya is a Programme Director of the BA in Film and Television Production within the Journalism & Media Communications faculty at Griffith College. 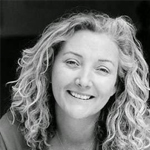 Tanya established herself as an award winning documentary maker in 2004 when she won the Duke of Edinburgh Medal of Excellence for her first film, Moore Street. Tanya's second documentary The House, her directorial debut for television, was nominated for the Best Documentary IFTA 2010, the PRIX EUROPA 2010 and was awarded the prestigious Radharc Award the same year. Her most recent creative documentary Waterlilies, won the Audience Choice Award, Dingle, IFF, 2015. 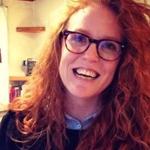 Tanya is the Director of Marmalade Films, an on campus Film Studio run with Daniel Hegarty. Paddy is the head of the Directing module for the film course, here at Griffith College. He works both as a film producer and director. He directed Man About Dog, Viva and Shrooms. He was also involved in the production of The Mighty Celt and Ape. Breathnach was nominated for an Oscar for his film Viva. He has received awards at the Thessaloniki Film Festival, the San Sebastián International Film Festival, the Bogotá Film Festival and most recently the Santa Barbara International Film Festival. 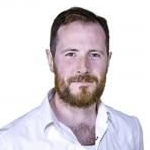 John is a lecturer in Production at Griffith College. 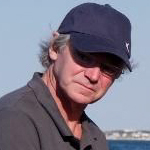 In 2007 he established Black Sheep Productions with writer Pierce Ryan, and directors Ronan and Rob Burke. The company produces feature fiction and documentary for international release. Some of the films and documentaries John has worked on are Standby, Apples of the Golan and Dollhouse; which was premiered in the Panorama section of the Berlin Film Festival. Is a lecturer in Production & Direction at Griffith College. Sonya has won a number of awards for her short screenplays. These include the Belfast Film Festival (Bua 2007), the Montréal World Film Festival (Bodyblow 2003) and the Moondance International Film Festival (Godless 2004). 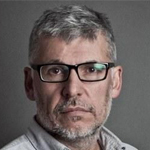 Cinematography lecturer, Ciaran Tanham has over 25 years’ experience in TV and film. He is currently the president of the Irish Society of Cinematographers (ISC). 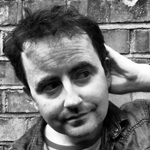 Ciaran has worked on the sets of Borstal Boy, Raw, Jack Taylor and Love/Hate. He was nominated for an IFTA for Best Cinematography for his work on break through Irish TV drama series "Red Rock”. 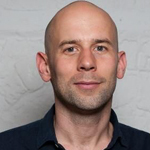 Daniel is a Producer and Associate lecturer here at Griffith College. He is based on campus in his Marmalade Films Studio. Marmalade Films is an independent production company with an international outlook established in 2008 by Dan and Director Tanya Doyle. Marmalade focuses on creating high quality creative documentaries for Irish and international audiences. Since its inception Marmalade Films has grown to become a Grierson shortlisted, IFTA and Prix Europa nominated and prestigious Radharc Award winning production company. Our documentaries have been broadcast internationally and have screened at major film festivals worldwide. Pierce lectures in screen writing at Griffith College. He is a three time IFTA nominated writer (for the short films JellyBaby, An Ranger and Runners), winner in 2010 for Runners. Other awards include Celtic Film and Television Festival, Golden Star Shorts Fest Hollywood, Malibu Film festival and Kerry film Festival. He established Black Sheep Productions in 2007 with producer John Wallace and directors Ronan and Rob Burke. The company produces feature fiction and documentary for international release.